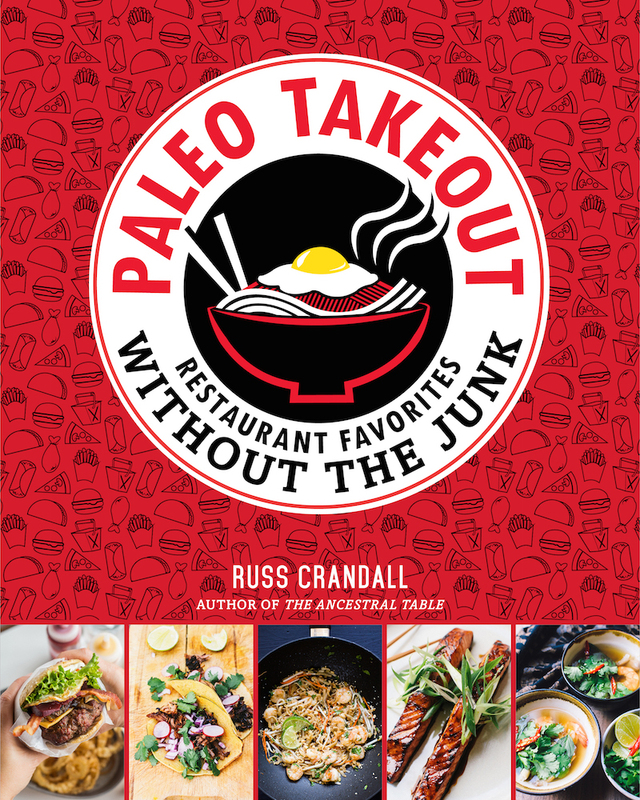 My second cookbook is called Paleo Takeout: Restaurant Favorites without the Junk. I’ve found that one of the most difficult food habits to break is avoiding the convenience and affordability of takeout and fast foods. It doesn’t make sense – these items are most definitely some of the worst foods you can eat, yet I still get cravings for them from time to time. So I decided to take matters into my own hands and write a book that replaces these tastes using wholesome, Paleo-friendly, and natural ingredients. There are more Chinese restaurants in the United States than all of the McDonald’s, Burger Kings, Wendy’s, Domino’s, and Pizza Huts combined – over 41,000 in total. In essence, Asian recipes have a larger share of the American palate than any other cuisine. And after receiving a lot of great feedback from my Sweet and Sour Chicken recipe last year, I knew I was onto something: other people still have a distinct craving for the takeout flavors we all grew up with. So I spent nearly a year developing recipes to replace those comforting tastes using healthy ingredients, and I’m really happy with the results. Originally conceived of as an eBook, I received so much support for the concept that I decided to release it as a print book. I expanded the scope to include American, Indian, Mexican, Italian, and Greek cuisines to complement the Chinese, Japanese, Korean, and Southeast Asian flavors that I had already developed. The book features over 200 recipes, all focused on your favorite dishes! I think you’re going to flip out over these recipes. These pictures are just a taste of what you’ll find. Everything’s here: Hot and Sour Soup, Honey Sesame Chicken, Chow Mein, Egg Foo Young, Orange Chicken, Tonkatsu, Okonomiyaki, Tempura, Bulgogi, Pad Thai, Bún Cha, and those are just some of the Asian-styled recipes. The American dishes will run the gamut of what you’d expect from restaurant and fast food dishes: pizza, wings, burgers, and more, all recreated with my signature attention to detail. I designed the book with a weeknight-meal approach; after all, these dishes should be easy to make, just like how easy (and tempting) it is to get takeout. Nearly every dish can be made in under an hour, and many can be made in just 30 minutes. I CANNOT WAIT for this! I love to cook and my husband and I eat 98% of our meals in, but I’ve yet to be able to successfully replicate his favorite Chinese takeout dishes. I’ll definitely pick up a copy of this when it comes out! Do you know yet what the prices will be? Terry, I’m still working out the details, but they’ll be very reasonably priced and each book will come with a discount code for the other one. Thank you for this, I’m so glad I found your blog. This is very exciting. Do you think this will become a print cookbook at all? I simply find it easier to cook from an actual book rather than an ebook. I am looking forward to it either way. Hi Taida, for now I don’t have any plans for a print version of this eBook. The eBook will come as a print-friendly PDF, so if you’re up for it you could have your local shop print and bind it for you! Very excited for the release of this book. I love trying to recreate Asian take-out flavors at home. Can’t wait to try some of your recipes! I’m going to have to go the print-shop route. There’s no way I’m bringing a $700 piece of sensitive electronics into a room with lots of liquids being poured and bits of food flying all the time. Are you sure you won’t reconsider a print-on-demand service like Lulu, Createspace, or booksondemand? Hi Jake, I feel your pain about bringing a tablet into the kitchen! I spent some time researching print-on-demand services and I was surprised at how expensive it would be to get a print run done, way above what I would consider worth it ($50+ per book). If I can find a better solution it’s definitely something I will reconsider. Erk! I understand your decision completely. I’ll just print out 1 recipe at a time, then, as I try them. Super excited for this!! I’m not on Facebook (am I the only one left?) but what I can see looks awesome! Just returned the first book to the library. Beautiful…will be buying that one as well! Only recently went Paleo, and my workmates literally drool over the meals I bring for lunch. So satisfying and I’ve never felt better…so glad there are great resources/bloggers like you Russ! Pingback: Foodie Friday: Paleo Takeout! Is this available as an ebook? HI, Russ, I’ve been using the book for a few months now, and I love it. I’ve got a question: Do you have any nutritional information for any of the dishes – i.e., calories, macro breakdowns, etc.? I know that this flies a little in the face of the Paleo ethic, but so far I’ve only really seen any weight loss results from paying attention to my numbers. If you have any of that data, I’d love to be able to access it. Thanks! Hi Ross, unfortunately I have not compiled the nutritional information for the dishes. 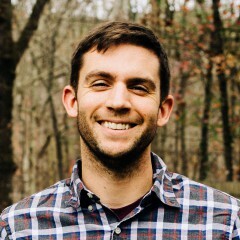 I do think that paying attention to numbers is beneficial when used in the right context (I think the tendency in the Paleo world to discount the fact that calories matter is a little short-sighted), so I wish I could help you out. Glad you like the book! Pingback: My New Cookbook – One Week at a Time!